Cutting-edge nutrition and great taste finally collide! 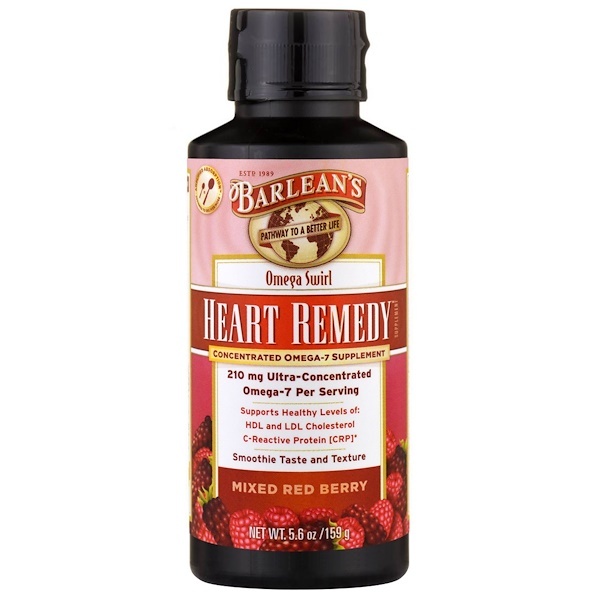 Barlean's Heart Remedy Swirl is the result of years of scientific research to develop an ultra-concentrated and highly purified Omega-7 designed to raise HDL ("good") cholesterol levels. 1 tsp. daily; for increased results 2 tsp daily. 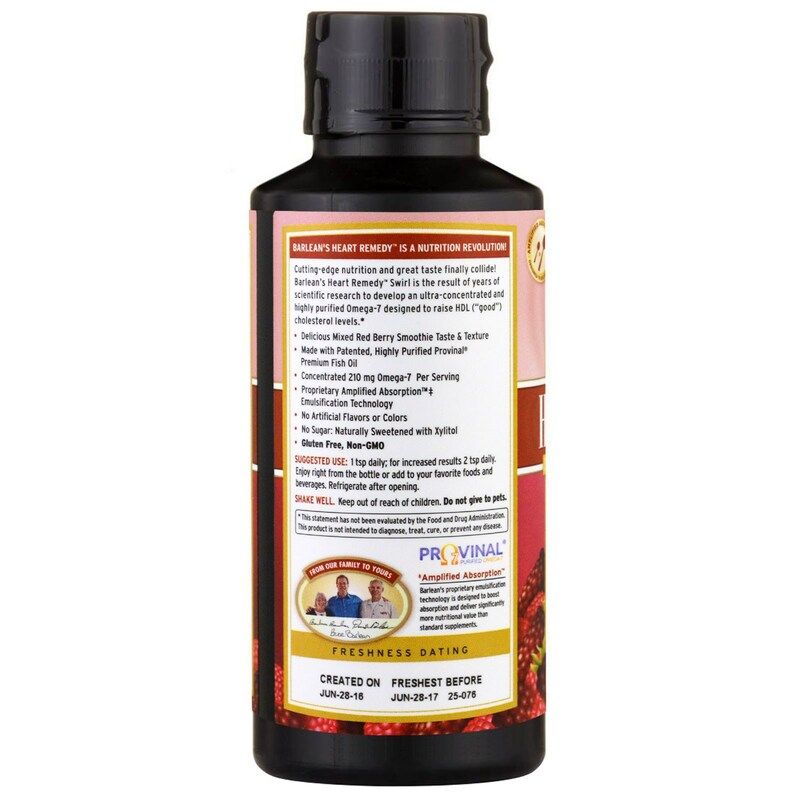 Enjoy right from the bottle or add to your favorite foods and beverages. Refrigerate after opening. Shake well. 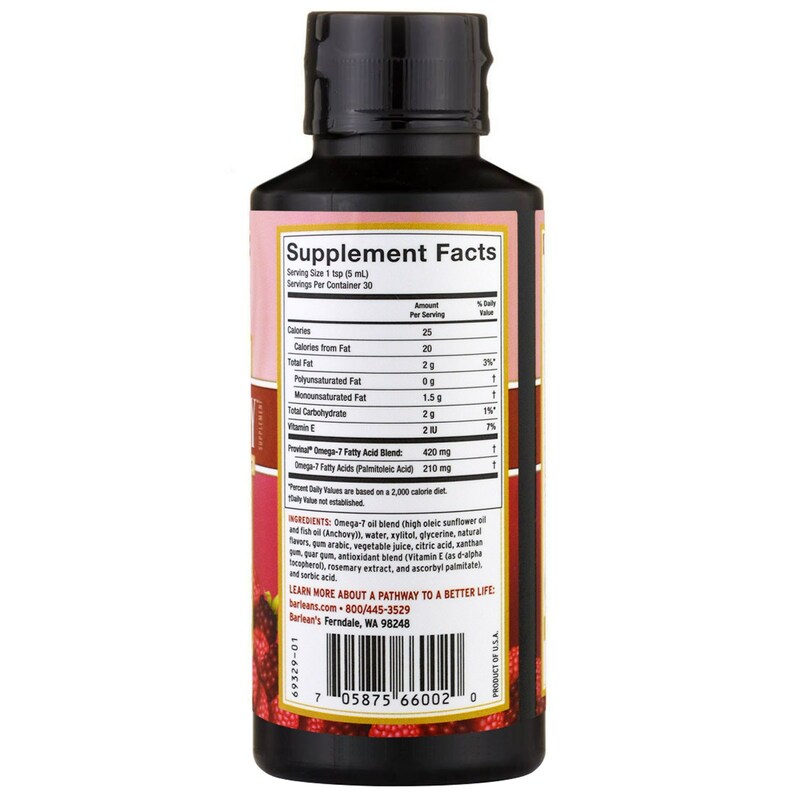 Omega-7 oil blend (high oleic sunflower oil and fish oil (anchovy)), water, xylitol, glycerine, natural flavors, gum arabic, vegetable juice, citric acid, xanthan gum, guar gum, antioxidant blend (vitamin E (as d-alpha tocopherol), rosemary extract, and ascorbyl palmitate), and sorbic acid.